Update April 2018 – 104,313 people have supported our petition! The petition has now been closed since we were able to collect over 100,000 signatures which were submitted to the Ukrainian government on April 18. Thank you for your support! We will update you again shortly. 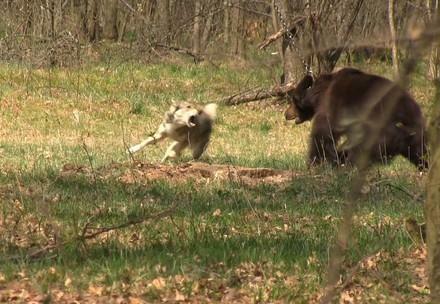 In bear-baiting, hunting dogs are released against a tied animal in order to train their hunting skills. In a real hunting situation, the dogs should halt an animal until the hunter can kill it. 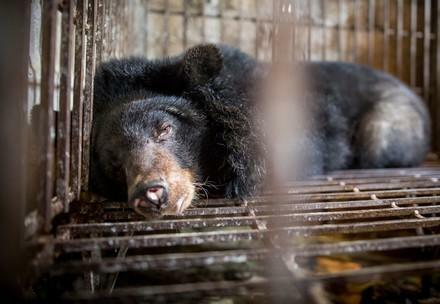 The bears abused for baiting can hardly defend themselves. They are chained, often undernourished and some have all their claws removed so that they cannot seriously injure the dogs. Bair-baiting competitions are frequently held at hunting stations. FOUR PAWS could already rescue and rehome 4 former baiting bears (Masha, Mashutka, Tyson and Kvitka) but there are still around 15 bears languish on Ukrainian hunting stations. 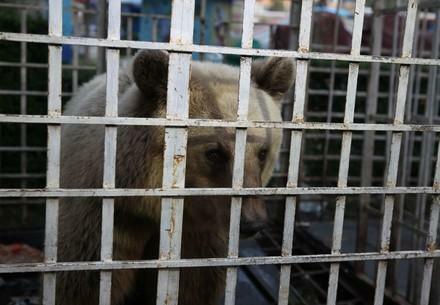 Consequently, FOUR PAWS demands a tightening of existing legislation so that in the future the keeping of brown bears at hunting stations but as well in other cruel keepings like in small cages near restaurants, hotels etc. is generally banned. 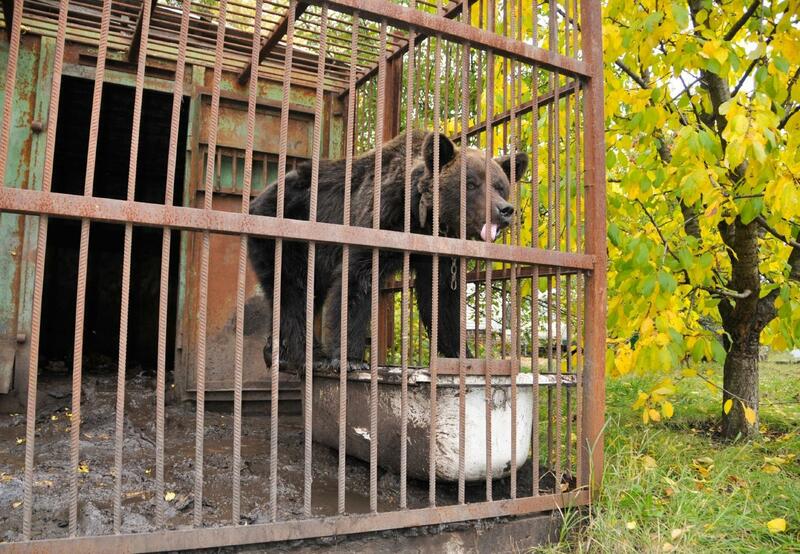 Your donation will help to save baiting bears in Ukraine!